Beleaguered baseball star A-Rod was seen playing guitar while holidaying in Cancun. It seems that he has decided to make full use of his ban to hone his musical skills. 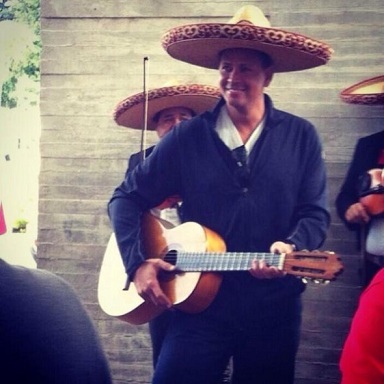 Alex Rodriguez wore a sombrero and played guitar. If he was stressed about his suspension, he didn’t show as he was fully enjoying every bit of time. Good to see A-Rod for letting go off all the negative vibes and chill in Cancun. What better place to forget all your worries than Cancun. Millions of others have the same opinion about Cancun as it has become the #1 destination in Latin America. No wonder, Cancun condos are again in flavor among investors and expats.